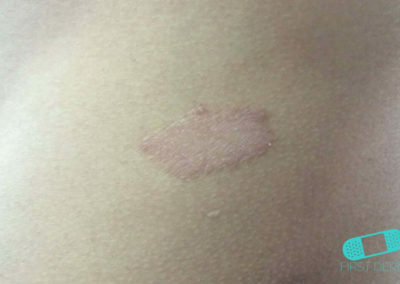 Granuloma annulare is characterized by skin-colored bumps or papules that form into symmetric ring-shaped patterns. 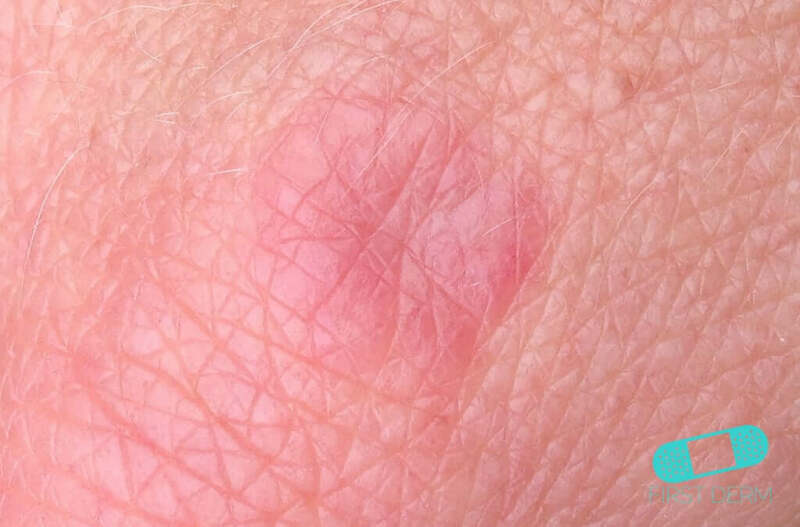 This skin condition can be recurring or chronic. 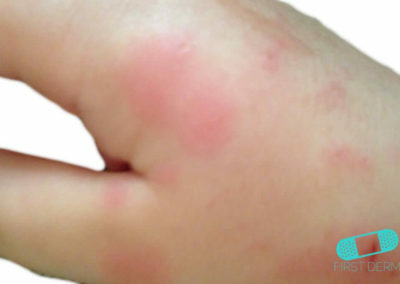 It most often affects children and young adults. 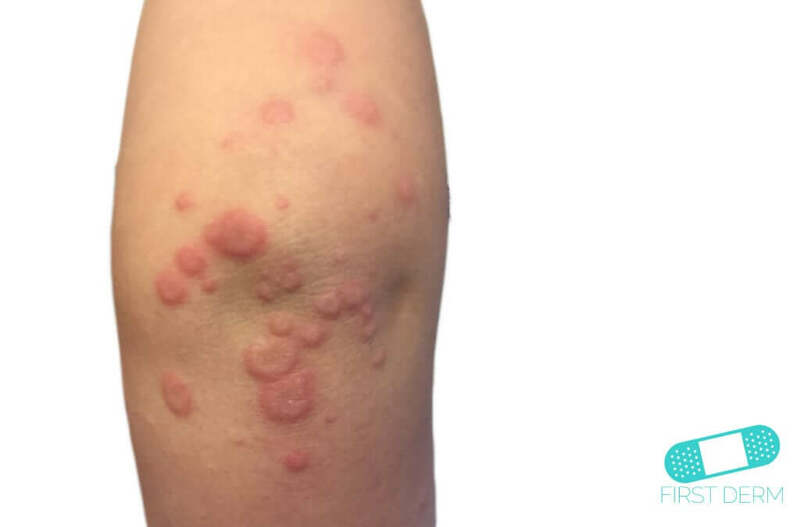 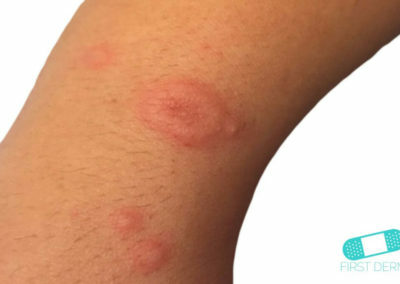 While the cause of granuloma annulare is unknown, it may be triggered by insect bites, infections, and sun exposure. Diabetes and thyroid disease can also increase susceptibility to the condition. 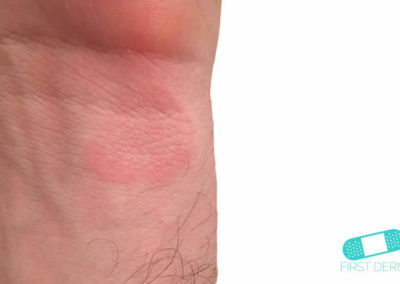 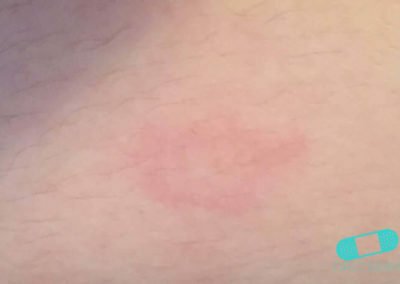 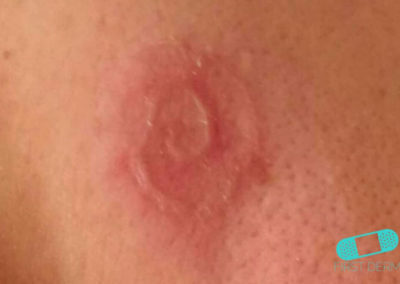 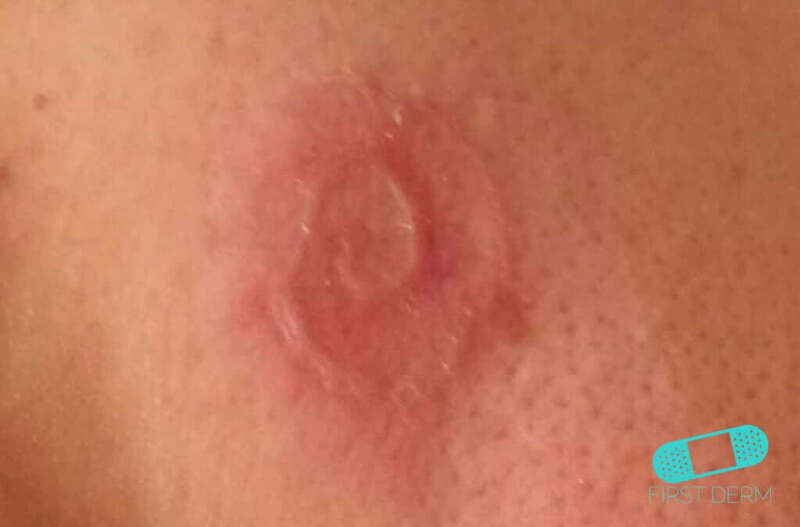 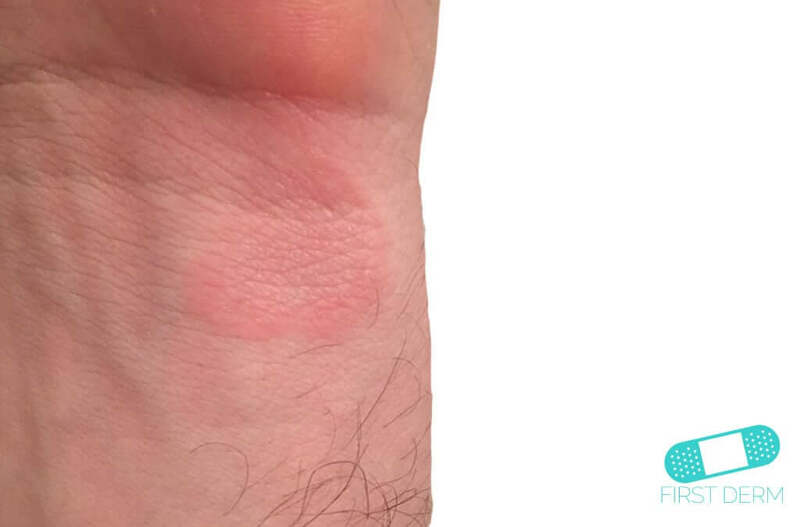 Granuloma annulare causes rashes that form into a ring of small, firm bumps. 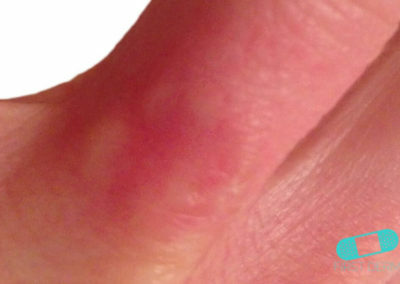 The center of each ring may be a little depressed, pale or light brown. 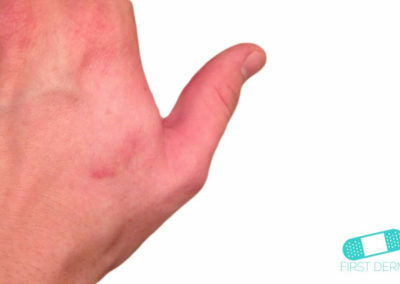 Its appearance is often symmetrical, which means that it occurs on both sides of the body more or less evenly. In rare cases, the firm bump may be formed under the skin. 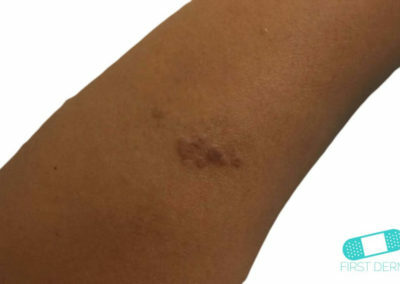 The lesions most commonly occur on the backs of forearms, hands and feet. 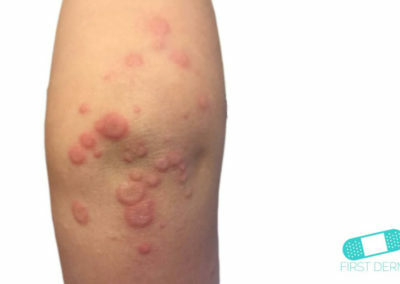 However, granuloma annulare can occur in large portions of the body – the torso, arms, and legs. 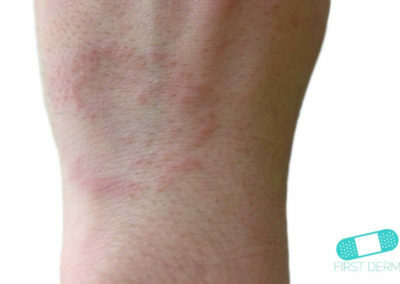 In these cases, the lesions are often itchy. 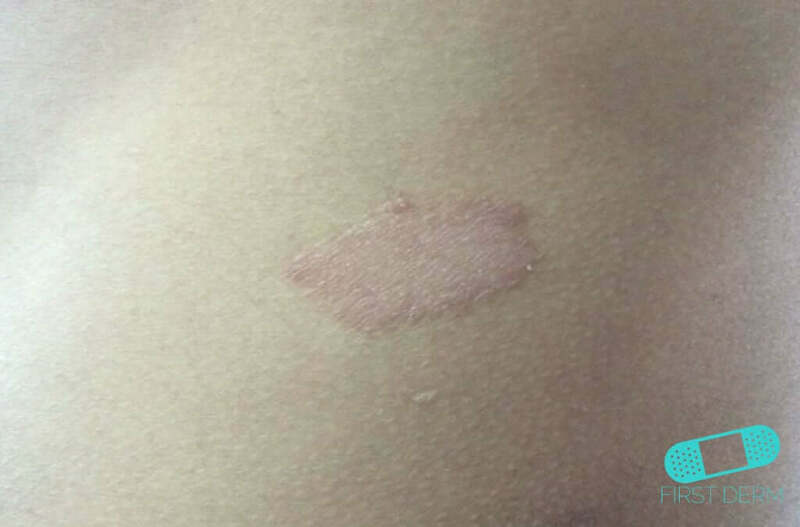 This is more common in children. 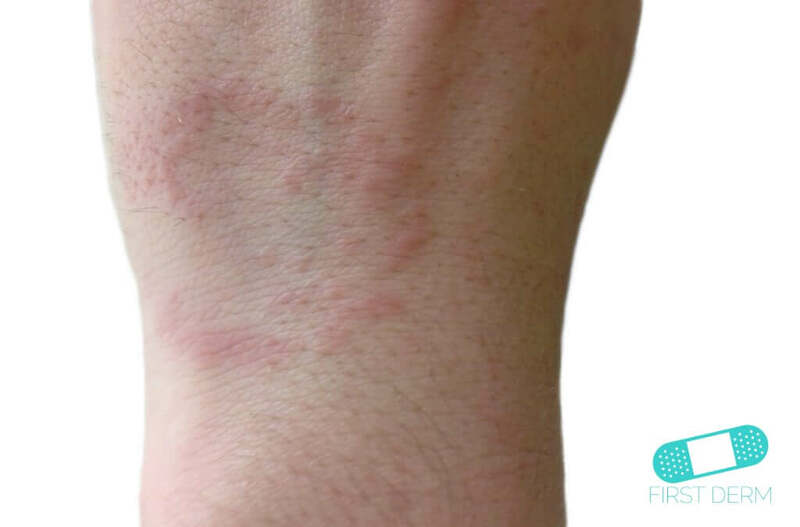 If you are over the age of 40 and experience widespread granuloma annulare, you may experience more intense itching. 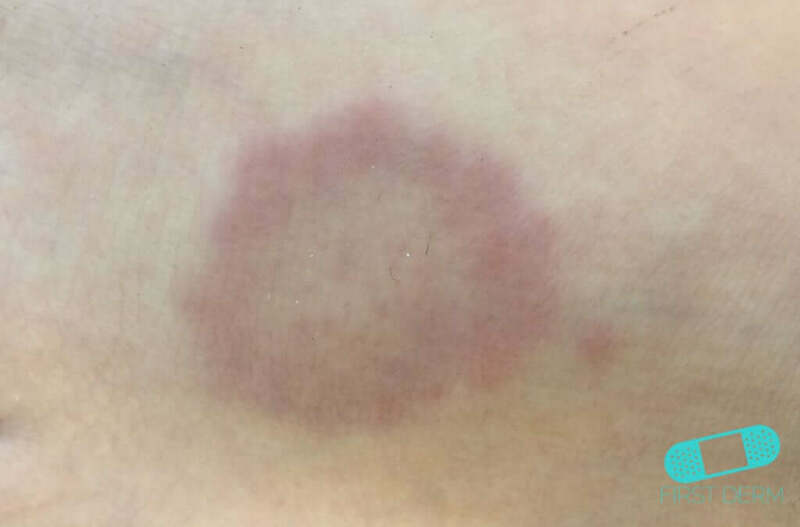 Most of the time, granuloma annulare is asymptomatic. 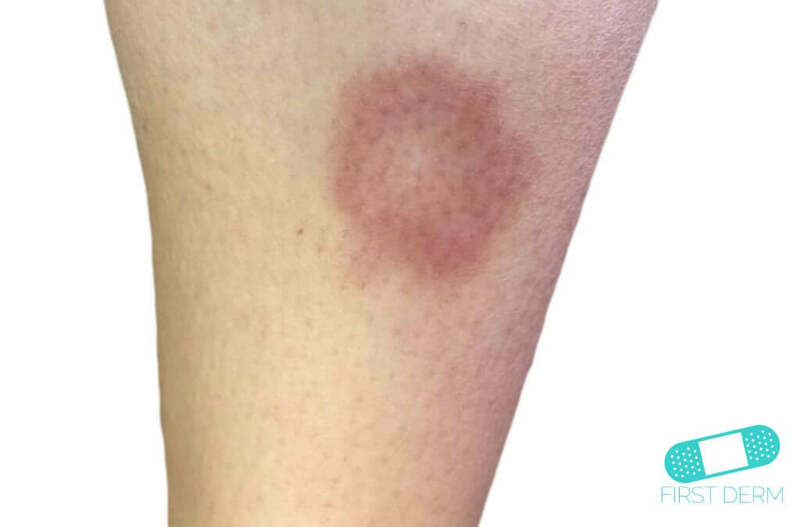 In most cases, localized granuloma annulare resolves itself within a few months. 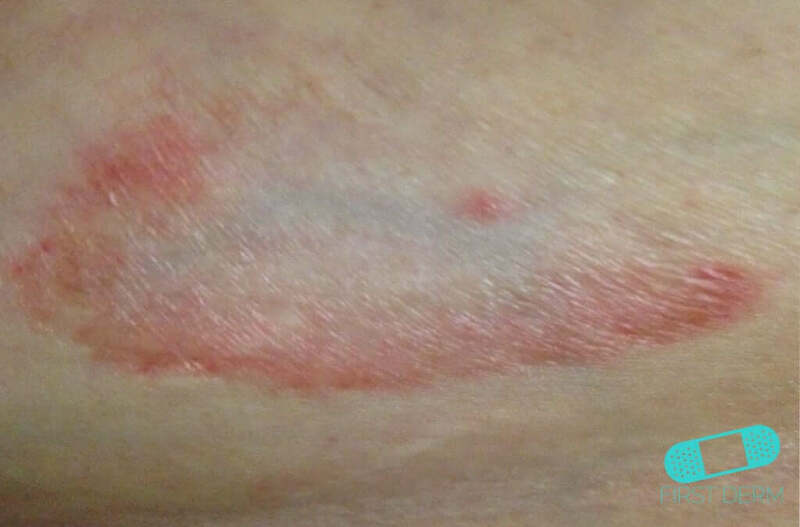 You can use steroid creams to speed the healing process. 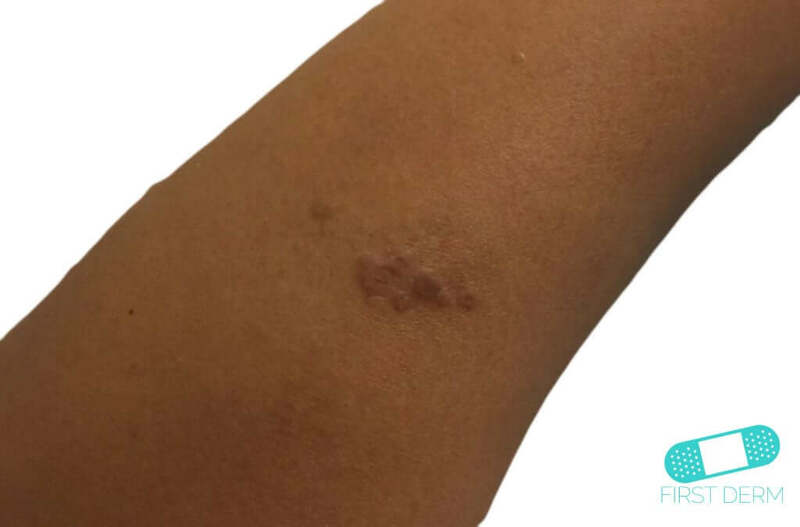 Though the skin lesions themselves are not considered dangerous, granuloma annulare can be associated with other conditions such as diabetes – therefore, a consultation with a physician is advised. 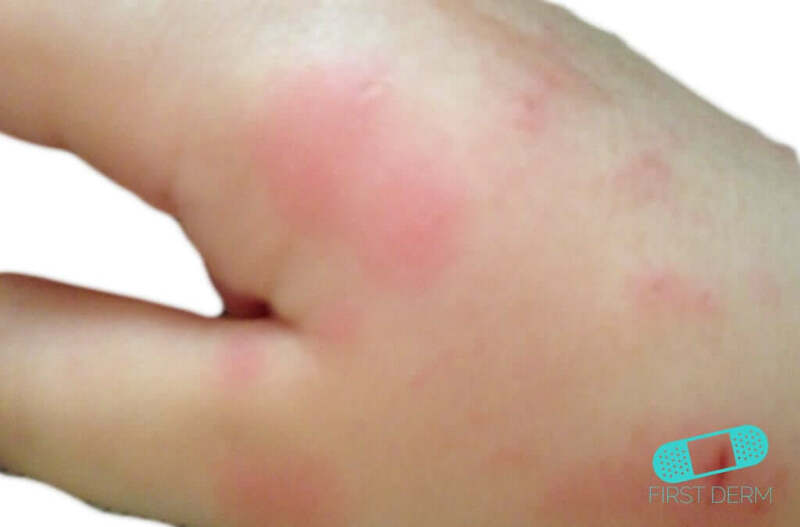 You should also contact your healthcare provider if the condition does not go away within a few weeks. 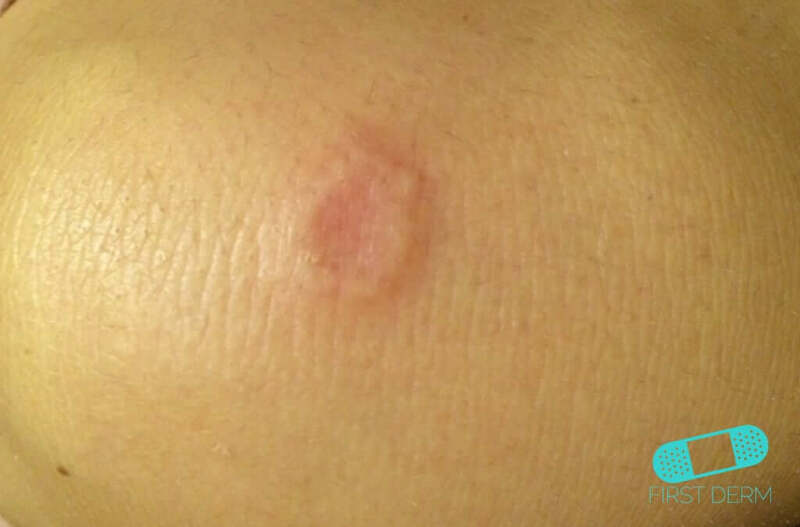 A small biopsy will be needed to confirm the diagnosis of granuloma annulare. 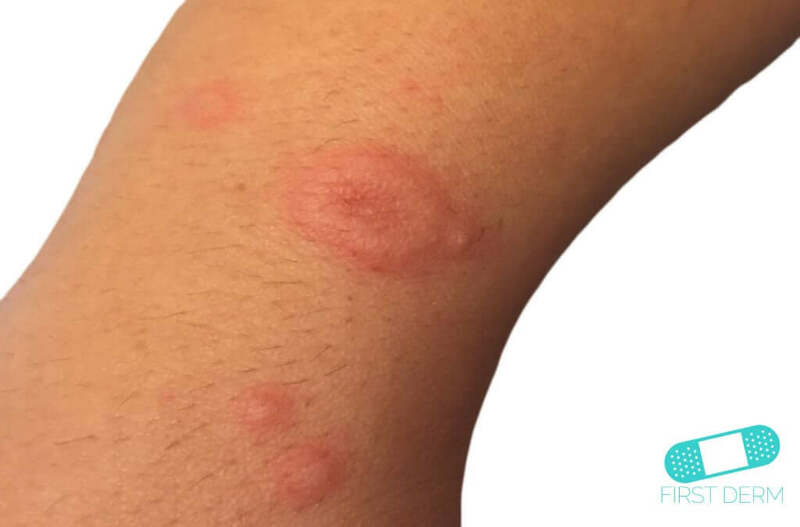 Most individuals with granuloma annulare are not bothered by the bumps, so treatment for this condition is largely cosmetic. 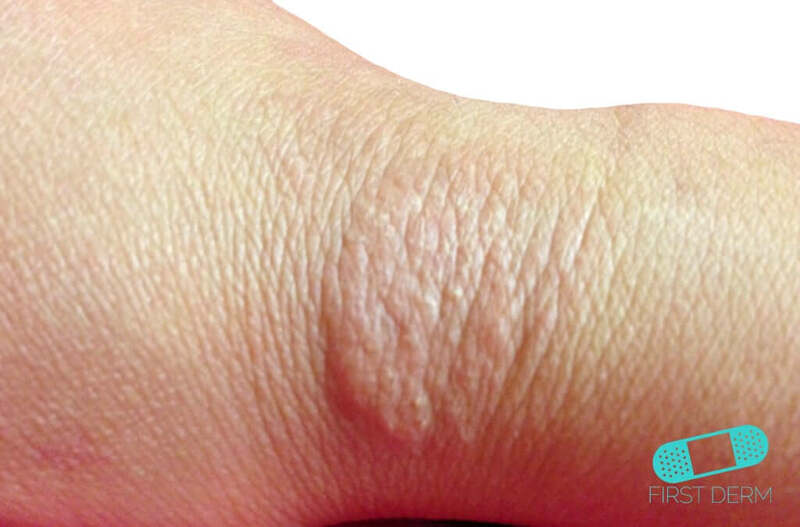 Methods include freezing the lesions, applying light therapy, and treating with lasers. 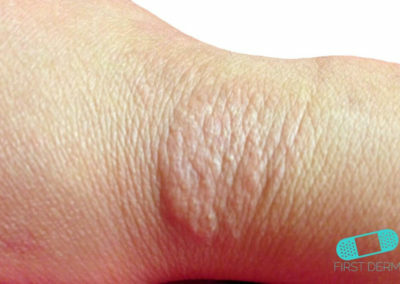 People with severe or widespread cases may need ultraviolet light therapy or medicines that suppress the immune system. 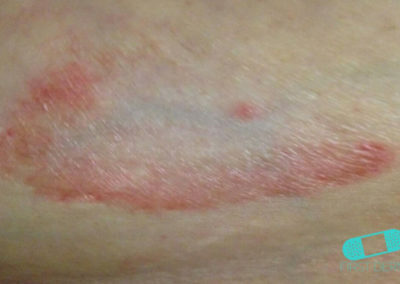 Some physicians may prescribe cortisone cream or the injection of cortisone.  Am Fam Physician. 2006 Nov 15;74(10):1729-1734.